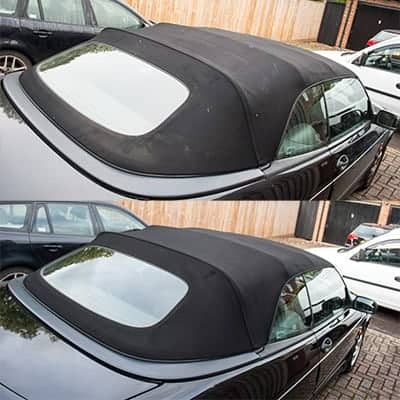 Soft top convertible roofs need to be cared for differently to other surfaces of your car, due to being a fabric which is exposed to all the same elements as much more hardy paintwork, and the nature of fabric holding onto moisture thereby allowing unsightly mould growth. Most vehicle manufacturers recommend that convertible roofs are treated on a yearly basis to keep them in good condition, otherwise mould spots that have grown into the fabric can be very difficult to remove and leave staining. To clean a soft top convertible roof, first of all an anti-fungal cleaning agent is applied and left to dwell to allow it to get to work on any growth present. The cleaner is then agitated to release the growth and dirt from the fibres of the fabric, before being gently rinsed away. Optionally, a waterproofing agent can be applied after the clean has been carried out so that water sits on the surface of the fabric instead of soaking in, helping to keep the roof cleaner for approximately 12 months. 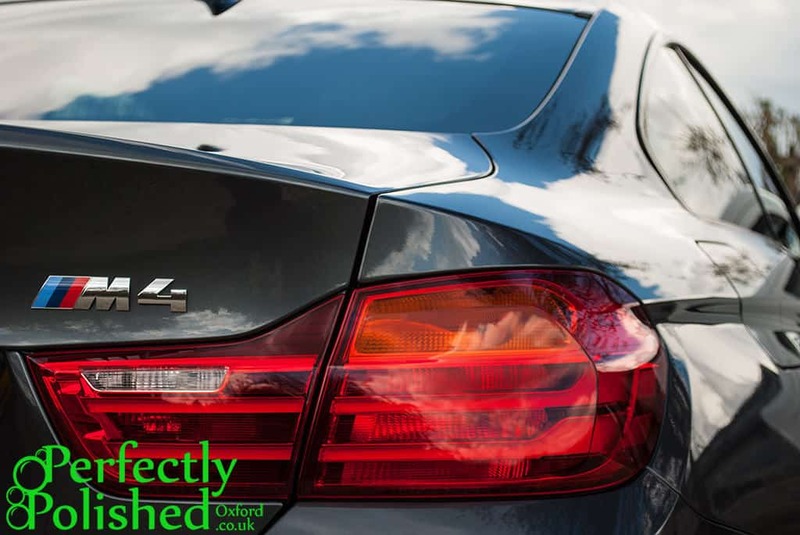 Waterproofing is always recommended for convertible roofs, however there are some circumstances where you may not wish to have this applied, for example is the car is to be sold. Convertible roof cleaning is offered only as an add-on to a valet package.